EAST MARLBOROUGH — Ready for some down-home fun with a little bit of sparkle? 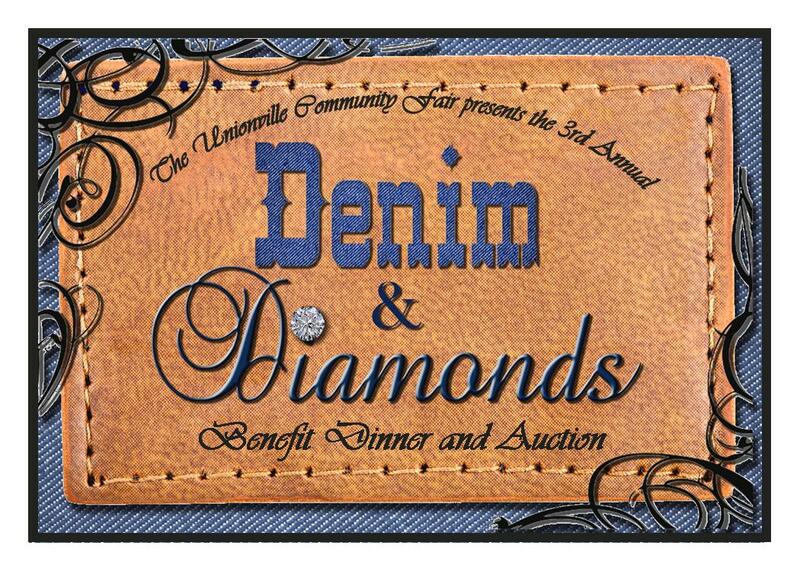 Then put on your jeans and shine up your jewels for the third annual Denim & Diamonds Benefit Dinner and Auction supporting the Unionville Community Fair! This year’s gala will be held on Thursday evening, September 29, in the Red Barn on the fairgrounds behind Landhope Farms. This unique event is held in the Red Barn as it is the heart and centerpiece of the fair. It is also where all of the 3500+ exhibits are on display. Attendees will have the privilege of being the first to see the blue-ribbon winners, and all the spectacular array of handicrafts, photography, flowers, vegetables and more. All of the exhibits are entered by local residents from all over the community. Guests will enjoy enjoy delicious appetizers and entrees prepared by Triple Fresh Catering while being serenaded by local musician, Chris D’Esposito. To add more local flair, a fantastic selection of beverages will be provided by some of the exceptional local wineries and breweries. The night will be emceed by WJBR personality, Jim Stoddard. Jim will lead the live auction featuring one-of-a-kind items like an aerial tour of Chester County at 1,500 feet, works of art by locally known Lele Galer and Karen Delaney, and ticket packages for the Fair’s first-ever Willowdale Pro Rodeo Saturday night, October 1st. Many items to suit all tastes will be presented for a silent auction as well. There’s always something for everyone at Denim & Diamonds! This annual event serves as the Unionville Community Fair’s primary source of income to offset substantial reductions in state funding. 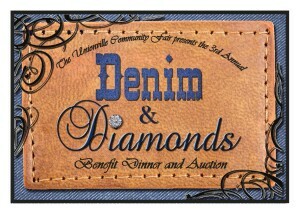 Tickets are $100 each and can be purchased by emailing denimanddiamonds@ucfairinc.org. 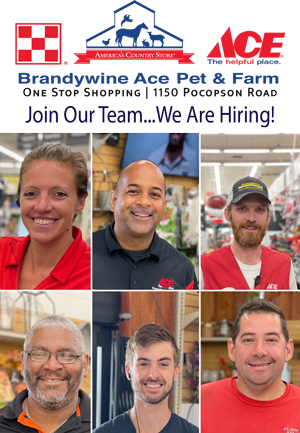 Visit the Fair’s website for more information: www.ucfairinc.org.